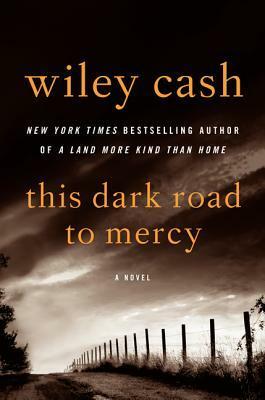 From Goodreads ~ When their mother dies unexpectedly, twelve-year-old Easter and her six-year-old sister Ruby are shuffled into the foster care system in Gastonia, North Carolina, a town not far from the Appalachian mountains. But just as they settle into their new life, their errant father, Wade, an ex-minor league baseball player whom they haven't seen in years, suddenly appears and wants to spend more time with them. Unfortunately, Wade has signed away legal rights to his daughters and the only way he can get Easter and Ruby back is to steal them away in the middle of the night. It's 1998 in Gastonia, NC, and Easter and Ruby are sisters ... Easter is twelve and Ruby is six. Their mother has recently died and they are placed in a foster home. Their only relatives are their mother's parents in Alaska and arrangements are being made to see if the grandparents would take the girls. In the meantime, Wade, their father, arrives back in town after taking off three years ago and wants to see his daughters. Wade, though, had signed away his legal rights to them. So he kidnaps them in the middle of the night and leaves town with them. Looking for them is Brady, the girls' court-appointed guardian (it's a volunteer position). He is an disgraced ex-cop now working for his brother's security systems company. Also looking for Wade is Pruitt. Wade had gotten involved in something shady and Pruitt's boss had hired him to find Wade. Pruitt, though, is also looking for Wade with revenge on his mind from an incident in their past (Pruitt is not a nice guy at all). Everyone is a baseball fan ... Wade and Pruitt are former minor league players. In the background of this story, is the Major League Baseball home run record chase between Sammy Sosa and Mark McGwire. This is the first book I've read by this author. I thought the story and writing were okay. It is written in first person perspective in Easter, Brady and Pruitt's points of view (the chapters are labeled so you know whose voice it is). I didn't have an issue with this style of writing. As a head's up, there is some swearing and violence (it's not described by alluded to later). I look forward to checking out other books by this author sometime.